The SNM940 Connected Site® Gateway is your dedicated hotline for sending and receiving vital information from the field, including design updates, GNSS corrections, telematics, and production information, even tech support. Trimble® Connected Machine will provide you with faster, more intelligent ways to work when you use it in conjunction with the rugged SNM940 Connected Site Gateway. Wireless data can be synced using this product combination from Trimble, making it possible to communicate design files, work orders and as-built information between the machine and office without needing to leave the cab. This will also allow the job site to work smarter with fewer interruptions and less downtime. The SNM940 Connected Site Gateway can also eliminate downtime by eliminating the need to wait for a technician to drive to your site for technical support or training. Instead you can have on the spot technical support or training remotely. By eliminating or reducing downtime spent waiting for resolution, you not only increase productivity, but you also minimize fuel waster and get a better bottom line. Use the SNM940 with VisionLink® to view all of your mixed fleet, regardless of make, model or function. With asset tracking you can know what your machines are doing and when. Armed with this data you can optimize usage and minimize fuel consumption, lowering the overall cost of operation. This product combination can also be used to capture cycle counts, load counts and material volumes through project monitoring. You can monitor completed work, map pass counts and create progress reports to keep things on time and budget. Proactive decisions can be made regarding production efficiency and minimizing costs as well. 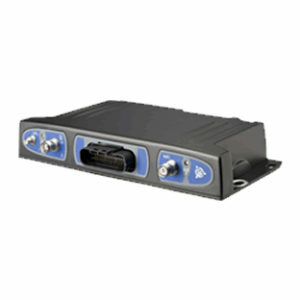 The SNM940 Connected Site Gateway can also be used with Trimble Internet Base Station Service (IBSS) or Trimble VRS Now® for GNSS corrections without a fixed on-site GNSS infrastructure. This can help you reduce your need to invest in base stations and the time it takes to establish a site infrastructure, all while maintaining the same precision accuracy for GNSS machine control. The SNM940 acts as a rugged, on-machine communications hub for multiple Trimble Systems so that wireless data sync, remote training and support, asset tracking and project monitoring is possible. A 3G cellular network or Wi-Fi signal can be used to communicate with the SNM940.